How do I choose a style of outerwear that works for me? In the past few years, companies have made drastic improvements to women’s outerwear so that functional gear can also be stylish. 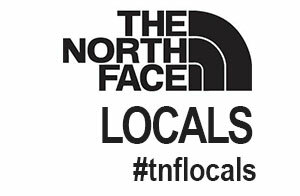 And as snow sports progress, there are a growing number of niche communities that bring even more defined styles into the mix. I’ve put together a few categories of women’s tech outerwear that cover a general variety of looks. These are all pieces that I personally liked, but I tried to include looks for everyone. Which outfits do you like best, and why? Comment below! For girls who ski on twin-tips, shred park, can tear-up the whole mountain, and generally want to look as badass as possible. These outerwear selections are more feminine than the freestyle-oriented outfits above, and the parkas are very street-stylish. This look is catered more for skiers who cruise all the mountain groomers and enjoy a good Hot Toddy in the lodge with friends. These outfits are the most playful and catered for the teenage demographic, who usually want wild styles and aren’t too interested in anything that looks “refined”. This includes surf/board brands like Roxy, Volcom, Billabong etc that tend to make clothing for Juniors.